W.Bro. 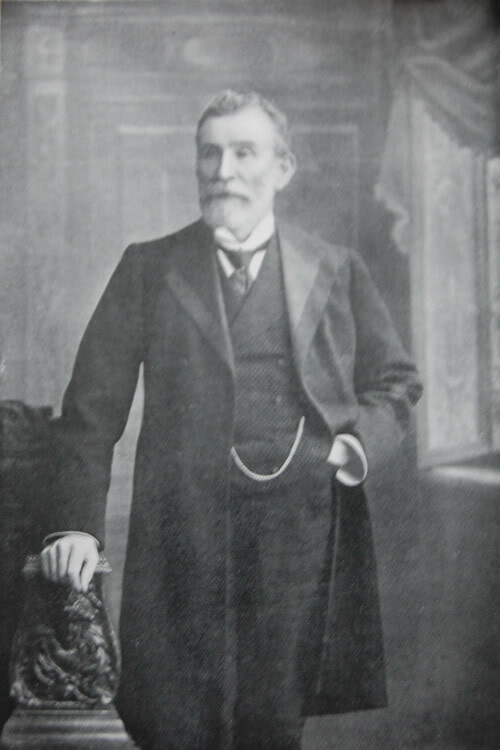 Thomas Nesbitt, P.M., P.K., H.K.T., Assistant Provincial Grand Secretary, Masonic Province of Antrim, 1881-1893. W.Bro. Thomas Nesbitt was for many years one of the leading members of the Order in Belfast. He was intellectual and well read, a good conversationalist, and a genuine friend. His intimate knowledge of the affairs of the Province and close acquaintance with its principal members enabled him at all times to advise and direct the business with judgment and discretion. The Masonic Hall was his pet hobby, but his enthusiasm and zeal were particularly stimulated in connection with the “Purchase Scheme”, the success of which, in a large measure, was due to his indefatigable efforts and constant attention through a long course of years. He lived to see the work arrive in fruition, and the appreciation of his brethren is expressed on the brass tablet which is appropriately placed in the vestibule of the hall.